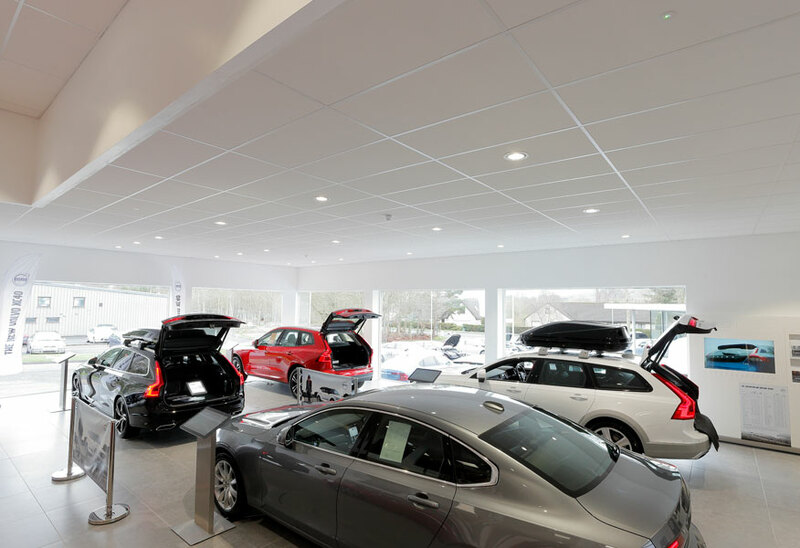 Volvo, a globally recognised car brand, upgraded the lighting at their Galashiels Clelands dealership. 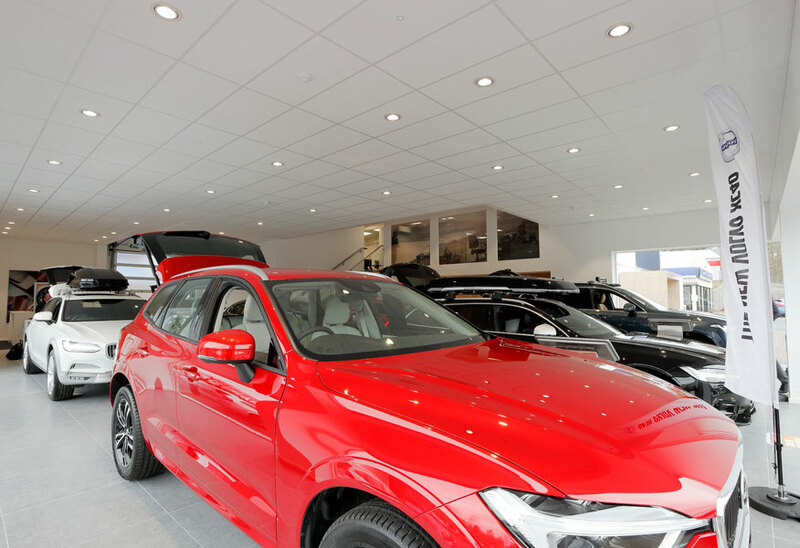 In a car showroom, the most important factor is creating an environment that makes customers feel comfortable and displays the cars at their best. 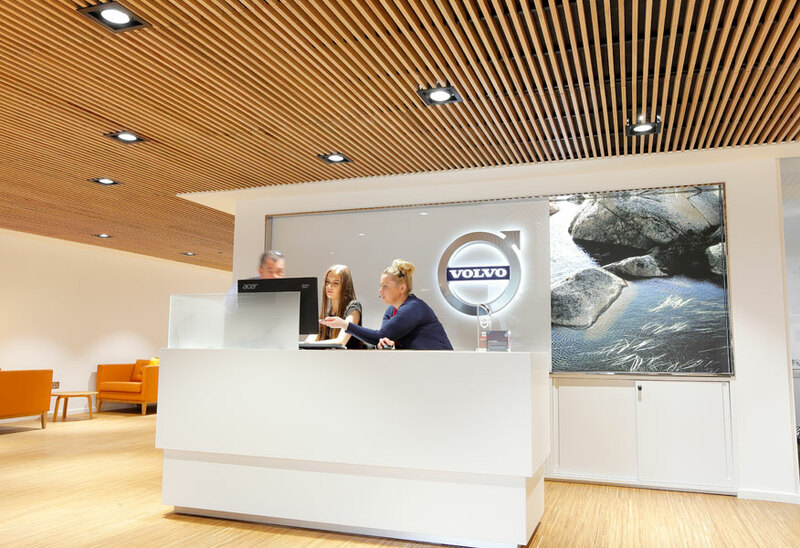 For a brand such as Volvo, performance and exceeding customer expectations are key. 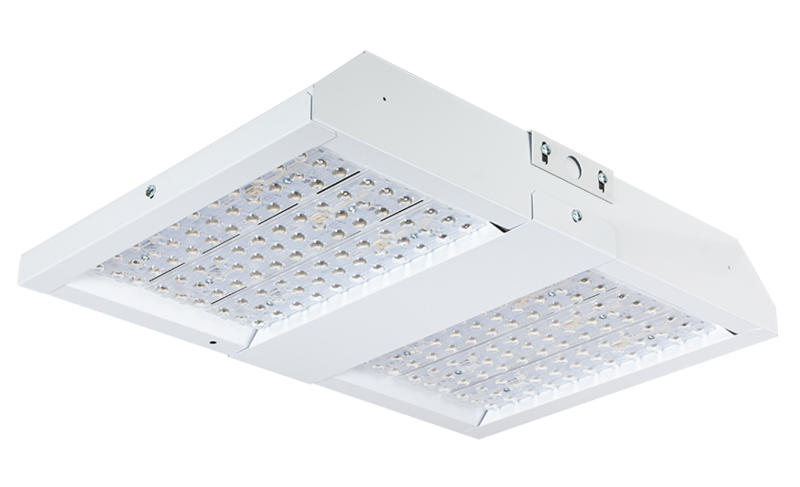 This meant that Volvo needed a lighting system that lived up to the excellence of the vehicles and the prestige of the brand. 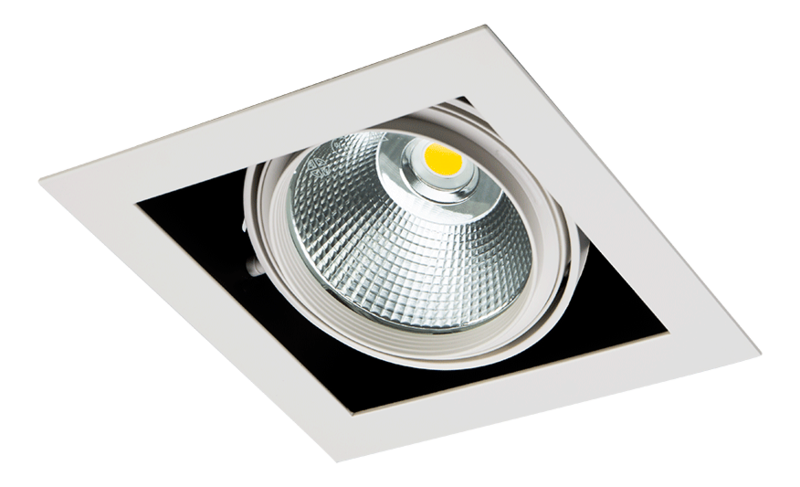 Tamlite Lighting designed and supplied a range of high performance luminaires, designed for retail spaces, to accentuate the high-quality products on display in the showroom and the car park. 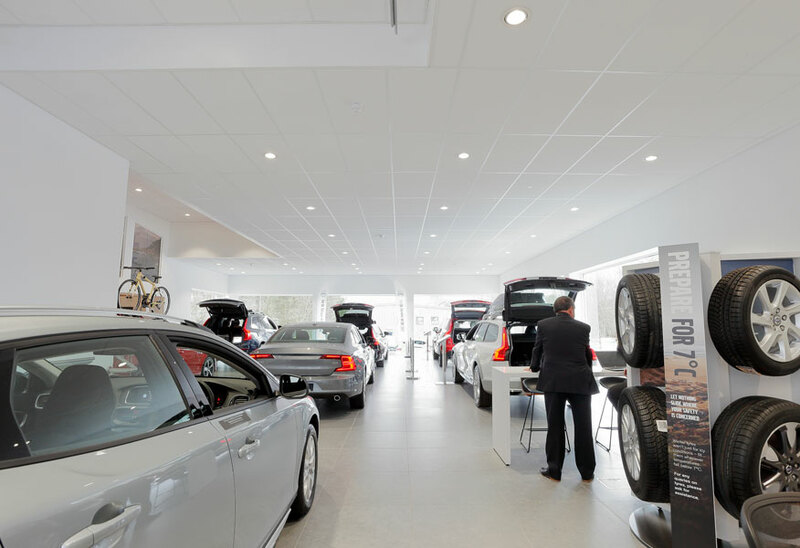 For customers to buy a car, they need to be inspired. 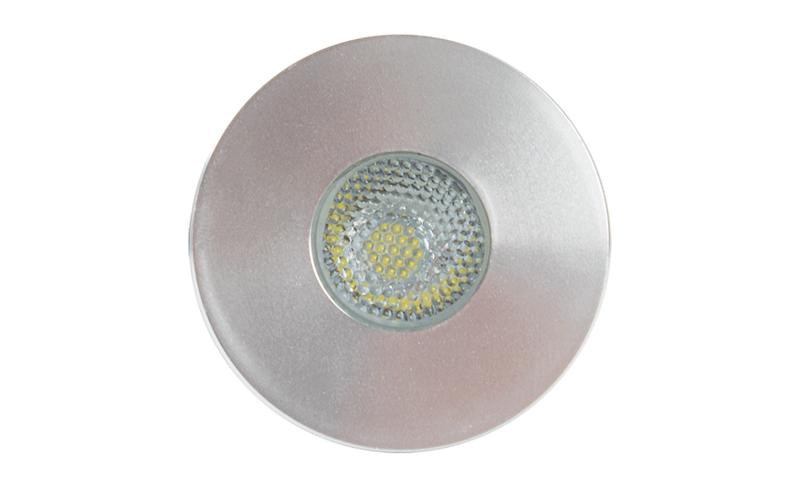 The car needs to immediately jump out at them, and it’s the lighting that can commence this inspiration, by showcasing the car in its best light. 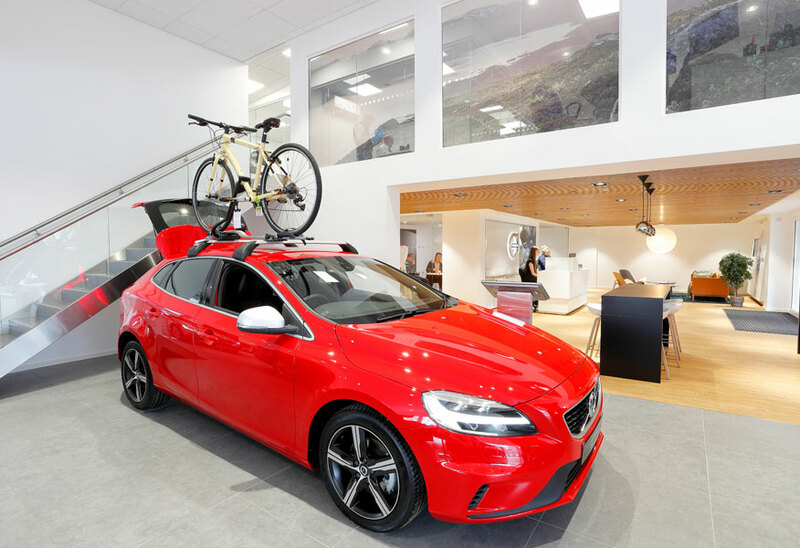 A high colour rendering index boosts the vibrancy and colour of the cars, creating a spectacular visual environment, that customers want to be a part of. 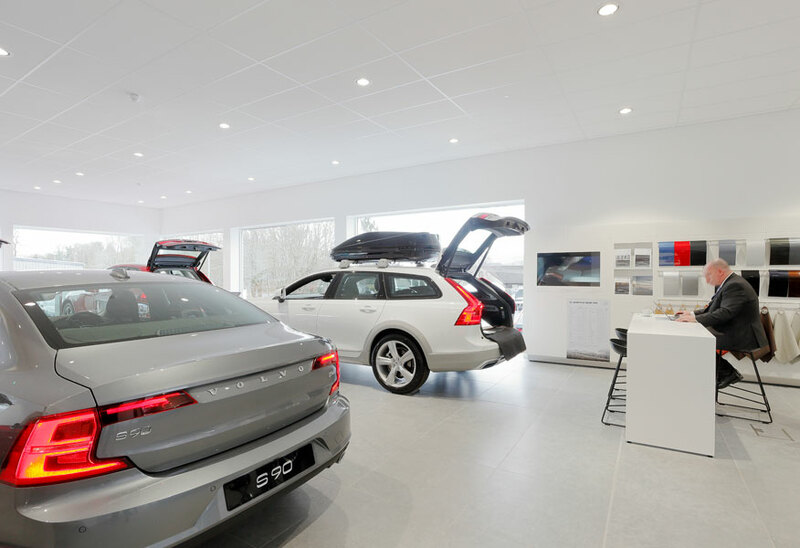 Stylish, subtle and flexible lighting was specified for the showroom, giving facility managers at Volvo the ability to customise the direction of the light, to give prominence to particular cars. 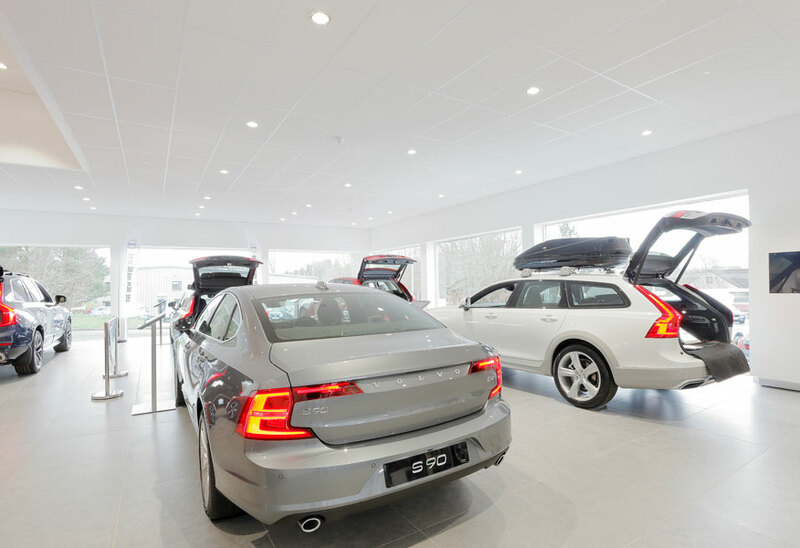 The combination of style and functionality ensured that the lighting solution was ideal for the Volvo showroom and customer service spaces. 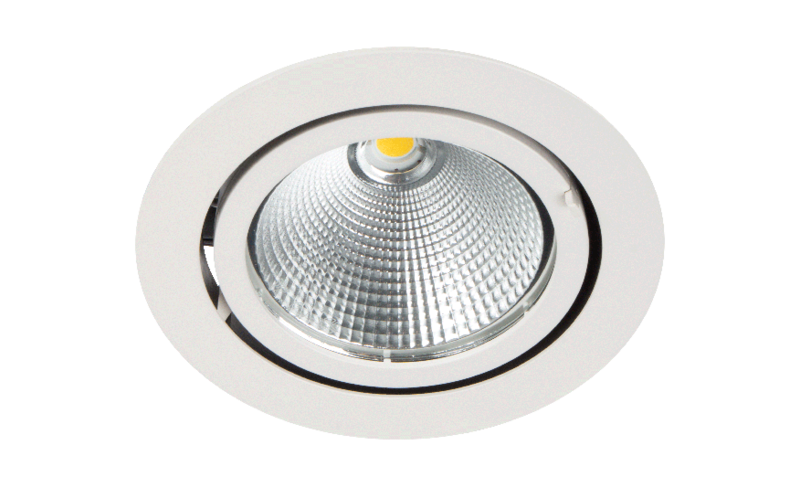 Lanterns and ground lights were also supplied at the site, to provide a welcoming, visually appealing exterior space for visitors, as well ensuring that staff feel safe outdoors.